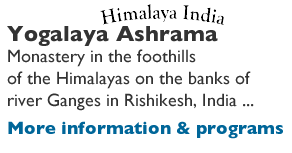 It is a residential convent of monastic training with teaching programs open for anyone. Inside is located Abhinavagupta Dham, the personal residence of the rector master. Satsangha (Vedic teaching with questions and answers), meditation, practice of physical exercises and lunch. 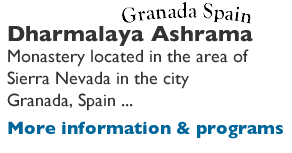 In order to make the divine powers to descend on the persons who need it for a material or spiritual motive, from Sadhanalaya Ashrama we organize different Tantras, ceremonies which include the realization of purifications, sacred fires, adorations, yantras, protective amulet, repetition of mantras, etc. If it is your case, don’t doubt in asking for more information. In Sadhanalaya Ashrama our priests can officiate in your Hindu-Vedic wedding, baptismal blessings, funeral honors for your beloved ones and other Vedic sacraments. 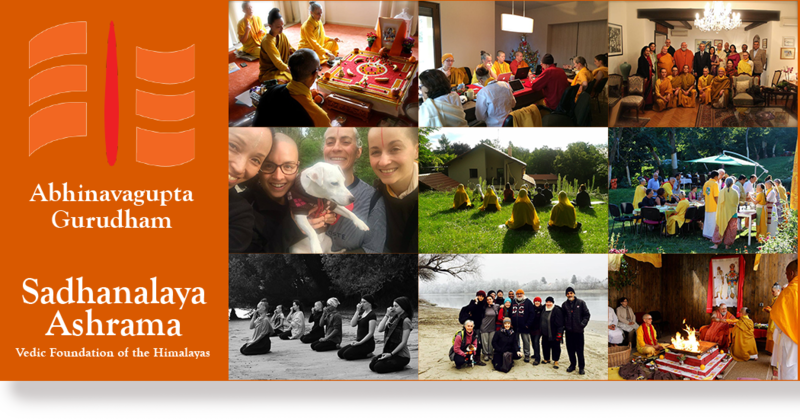 On a regular basis, we give classes on Vyayam and Hatha Yoga in “Sadhanalaya Ashrama” in Leányfalu, Szentendre and in Budapest in diferent Centers. This magical practice of the India whose basis is the control of our breath through the movement is only given by our school in Hungary. The most emblematic courses are given during Eastern Week, Summer and Christmas, in Spain, Hungary and India.